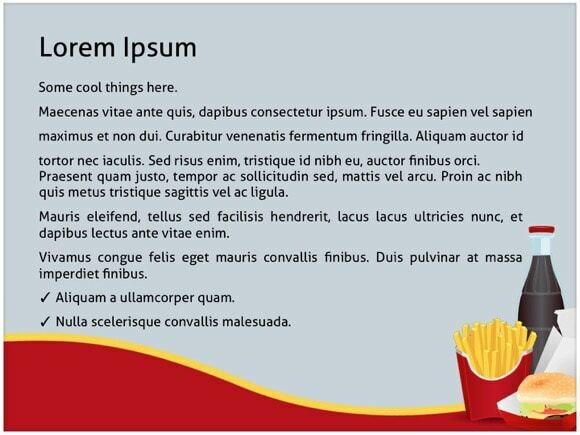 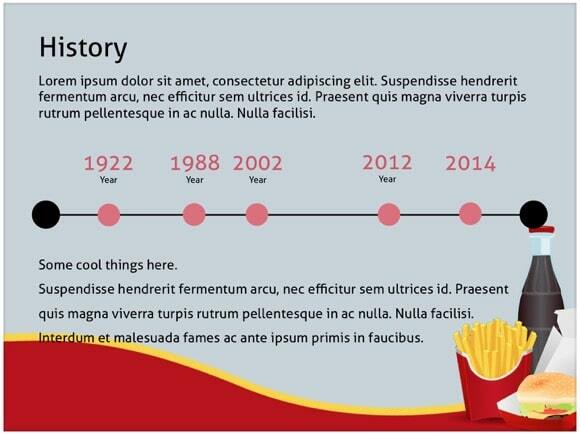 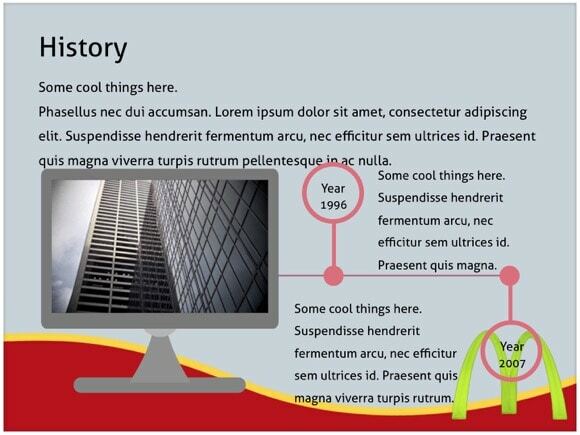 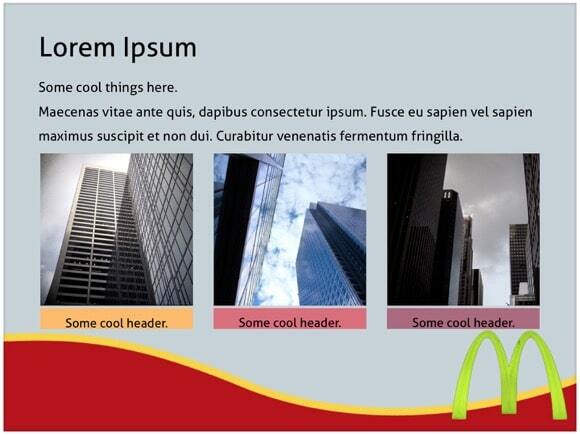 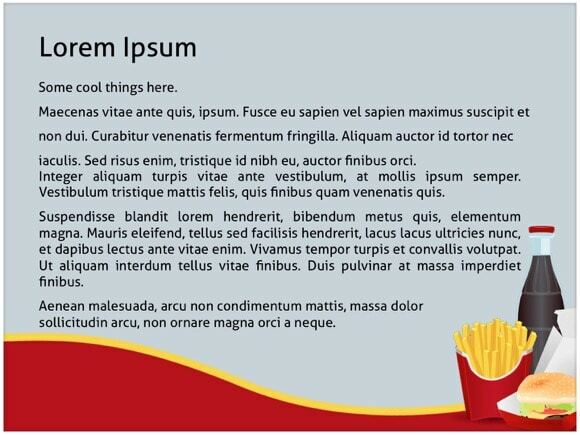 McDonalds PowerPoint template - FREE! 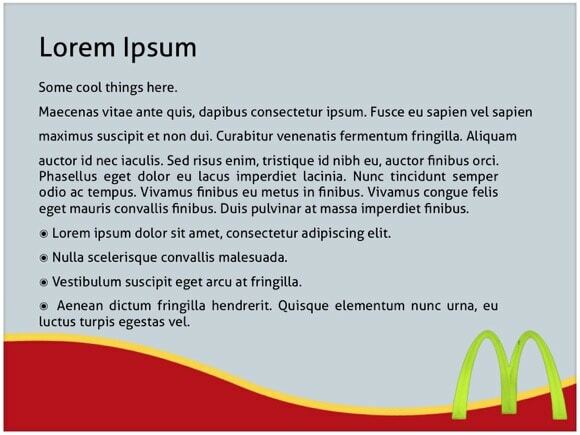 Free McDonalds PowerPoint template was created for fast food demonstrations. 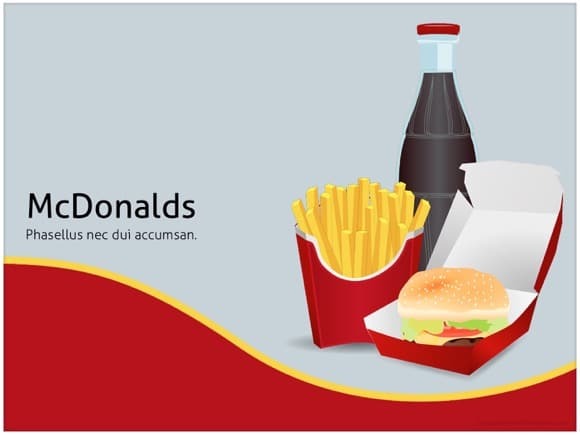 McDonald’s is one the biggest fast food companies in the world. 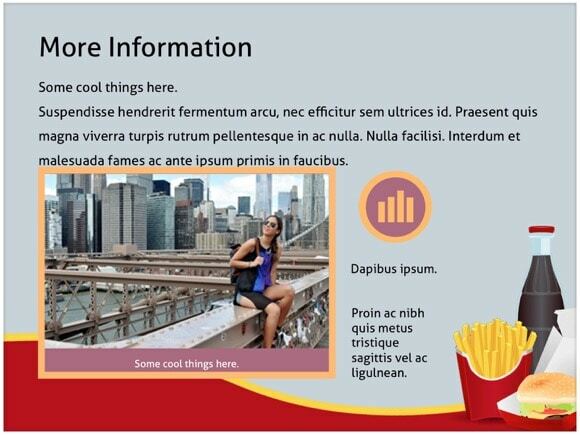 This PPT presentation features a modern theme with standard McDonald’s menu: hamburger, fries, and coke. 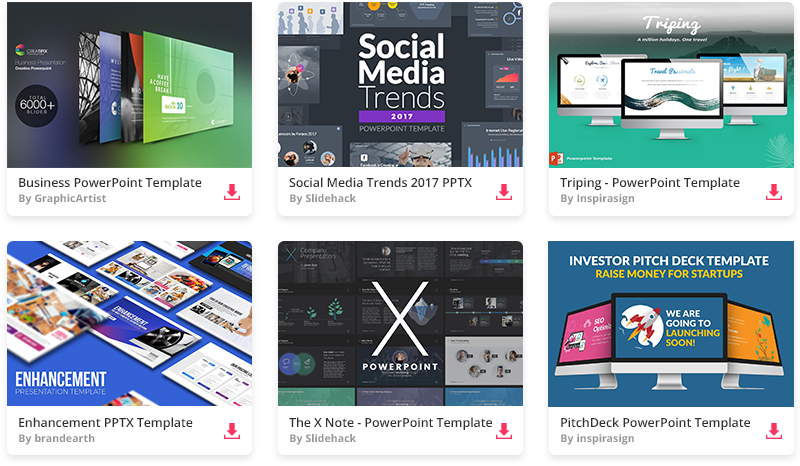 Just click download button below to download it and if you do, please help our site by sharing it below.